Children's story for bedtime and dreams, or to read any time. This is a fairly big paperback. 500+ pages in length. BRAND NEW MADE TO ORDER. Other challenges include making a bright, yet disruptive and annoying elf schoolboy realise that he is holding back his career ambitions by his refusal to study; trying to bring together a pair of human co-workers at an inn who are attracted to each other, although neither realises it, and, his biggest challenge, attempting to restore a once vibrant village by holding a meeting attended by many species such as centaurs, wolves and loryxs - a bubblegum pink humanoid species - in a nearby town hall. As time goes on, BB becomes more confident. This changes when he has a frightening encounter with a demonic satyr on a rickety old bicycle who chases him across open countryside. His confidence is shaken even further when he accidentally ends up outside a huge foreboding castle he had been warned to steer well clear of. In the ominous building, the youngster experiences horror and desperation as he is put to work by the evil inhabitants. His cruel treatment compels him to attempt a risky and dangerous escape with other captives he meets, one being a half human, half fairy teenaged girl who BB suspects might really be working for the inhabitants. The truth eventually comes out. The youngster experiences many other sights and sounds on his travels including a singer/songwriter fox with a bad headache; a heavenly bread and cake shop in the middle of nowhere staffed by a human and his fearless fairy assistant, both of whom have no time for wild school kids, and a fighting competition at The Palace of an un-king and his un-queen - so-called because they are not truly of Royal Blood - to hopefully find a suitor for their daughter, where any species of males including ogres, birds, fish and satyrs take part. Whether dangerous or not, all the characters and situations BB encounters help to make his journey, which is filled with thrills, adventure, music, song, excitement and wild times as well as terror, anxiety, stress and deadly encounters, unforgettable. 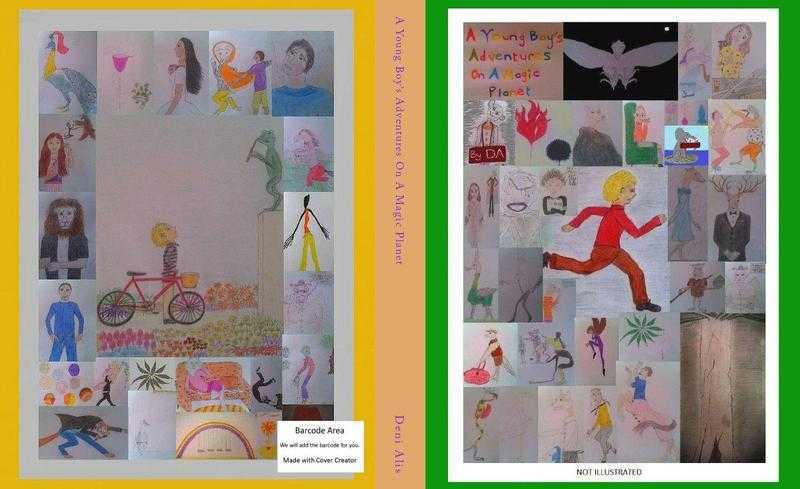 Although the book was written for children aged between eight and twelve, it is not limited to this particular age group; anyone can read it, including Grandma and Grandpa.